Today, the kids and I made moon bread. But the lesson was so much deeper than just whipping the bread together (which you can see in the video). It was learning facts about the moon, reading stories of moon celebrations around the world, and then sitting down at the family table to eat our moon bread and share about the things we had just learned. This lesson may look simple, but it connects science, literacy, and life skills all into one! Amazon affiliate links are used to books and products in this post. Although the moon appears white, it’s surface is actually dark, similar in color to asphalt. “The moon (or Luna) is the Earth’s only natural satellite and was formed 4.6 billion years ago.” That’s a LONG time ago. We have been enjoying the book, A Full Moon is Rising for the past week. It is a collection of poems by Marilyn Singer all about moons and how people celebrate and see them all around the world. I love that it showed the moon in all sorts of places from the desert to the International Space Station where they can see the moon rising not once – but 3 times each day! My preschooler really liked the “Wolf Moon” poem – because it’s cool! They loved re-reading the noises with me. A special thanks to Lee and Low publishing for sending us a fabulous diverse collection of books about the moon and helping us to diversify our home library in an effort to raise globally aware children.! 1 1/2 teaspoon of bread machine or quick active dry Yeast. Directions to Make Moon Bread. Take the internal part of your bread machine out. Measure the ingredients and place them in the removed pan of the bread machine. This will keep the insides of your bread machine cleaner. Add the ingredients into the bread machine pan in the order recommended by your bread machine manufacture. We put them in the order listed. Do not add the last 2 tablespoons of oil. My kids like to make a volcano with the flour and pour the yeast in the middle. Place the container back inside the bread machine. Close the lid and set the program for dough . manual. My program takes a little over 1 1/2 hours to complete. We often take it out early as it will rise again after shaping. Remove the dough from the bread machine and place on a large greased cookie sheet. Gently pat into a circle. Cover with a light cotton cloth. Let raise for an additional 45 minutes. The bread should almost double in size. Remove the cover and poke your finger in a downward motion to make the moon’s craters. Use a pastry brush to lightly cover the surface with the remaining 2 tablespoons of oil. Bake 15-18 minutes. It will be golden brown on the edges and sound hollow when removed from the pan and tapped on the bottom. Have a SPACE fan at your house? 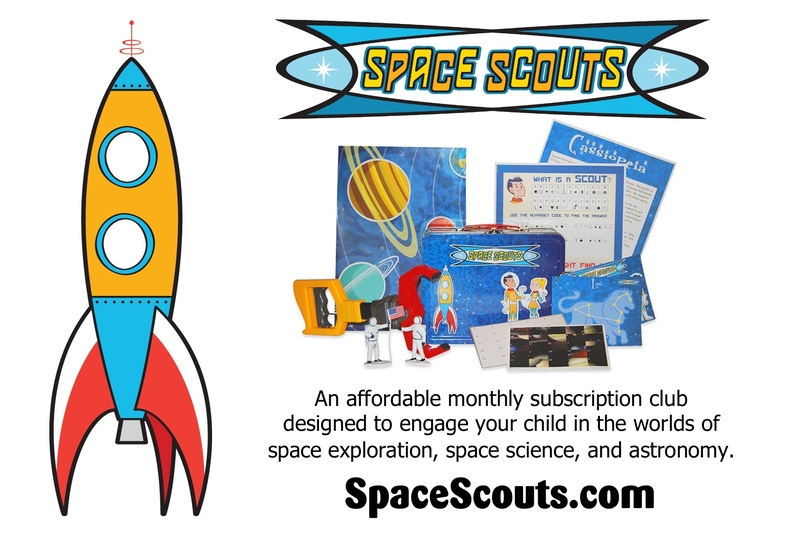 Get fun facts and activities each month delivered to your door with the Space Scouts monthly subscription box. Geared for ages 6+, but my 5 year old LOVES getting his. He shares some of the older activities with his big sister making it a great sibling box too! 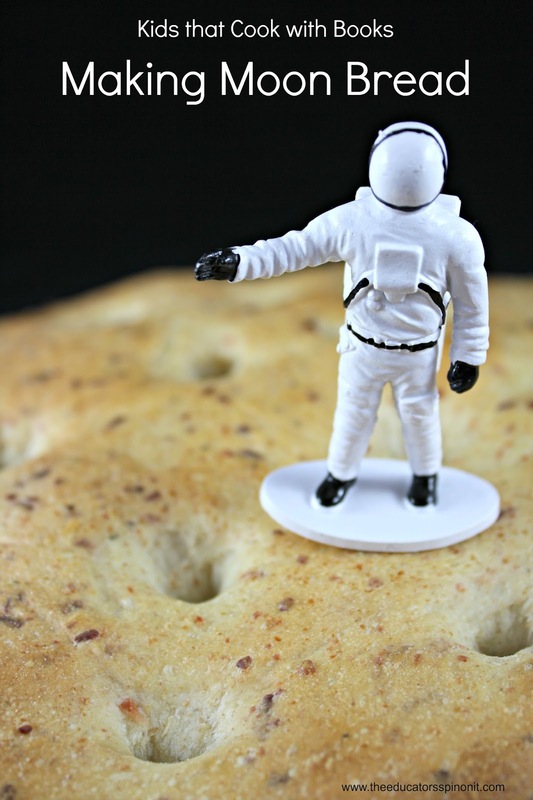 We had so much fun making our rocket pizzas yesterday that I think we will make moon bread today! Loved the video! This is SO cool! I totally love it! This is a really fun idea, Amanda! The video was great! So much fun, like the video help. I love the video! 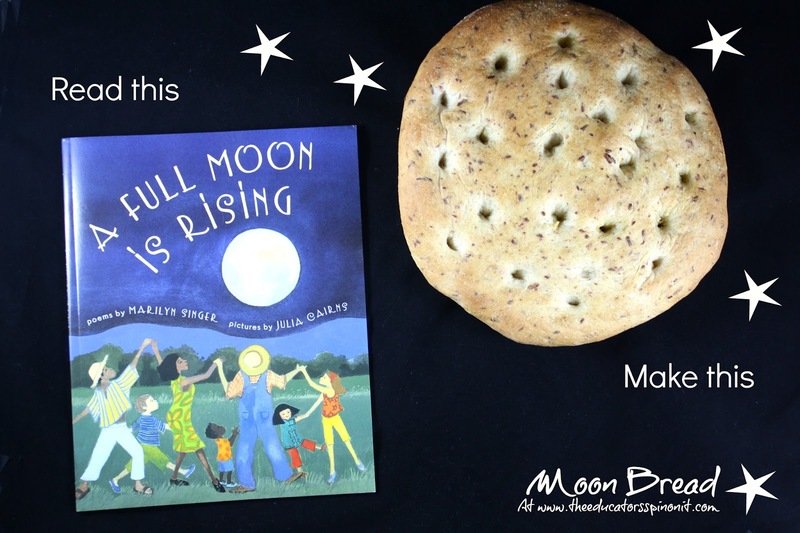 I know our kids would love to make moon bread. We will have to try it. I really want to give this a try – Friday is bread making day I know what we will be making this week.